Our Hindu Temple of San Antonio is situated on the top of Helotes mountain. 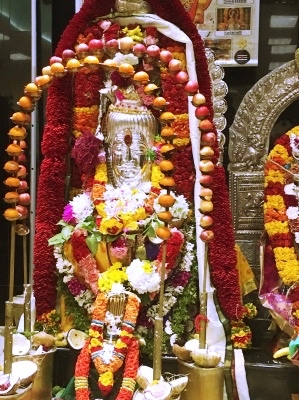 Here Lord Venkateshwara and Lord Shiva along with Ganesha are in the main temple complex surrounded by other deities like Ardhanaareshwarar, Hanumaan, Radhe Krishna, Navagrahas and Sita Ram. 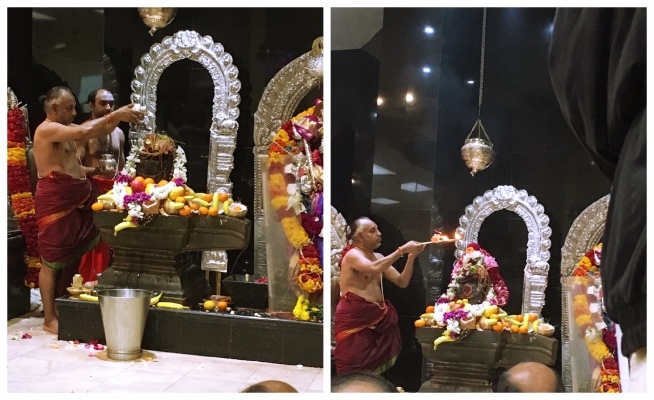 On March 4th 2019, we grandly celebrated the Mahashivaratri in the temple. 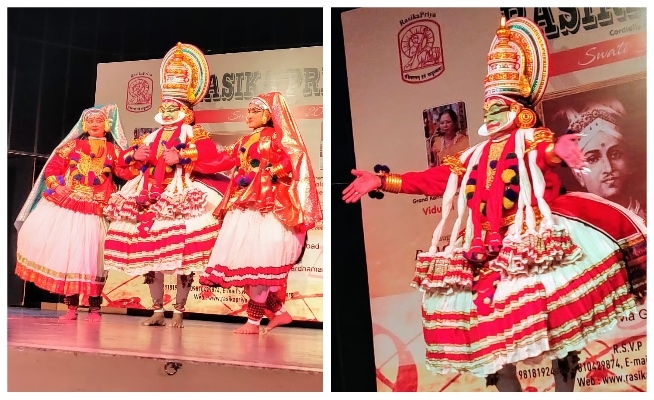 After the regular pooja was over, Lord Shiva and Parvathi were decorated with colorful flowers and other wonderful alankarams. During the whole day Shiva Archanas continued with full fervor. 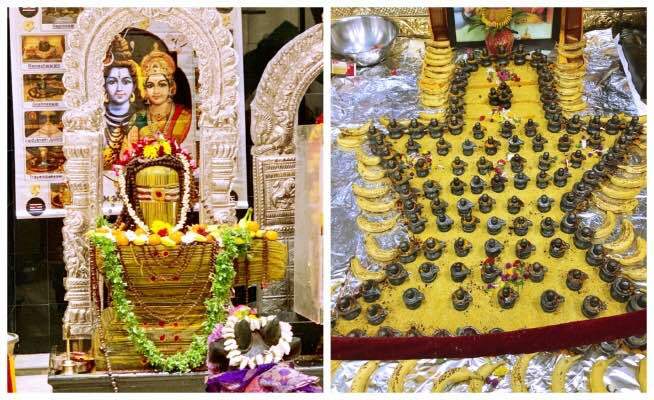 For devotees a special Shiv Linga was arranged for milk abhishekam throughout the day until midnight. Throughout the day varieties of prasadams were also distributed to the devotees. People started pouring in after their work hours and the evening special pooja started in full swing. Rudra Abhishekam was done thrice with different alankarams by the residing priests for Lord Shiva. 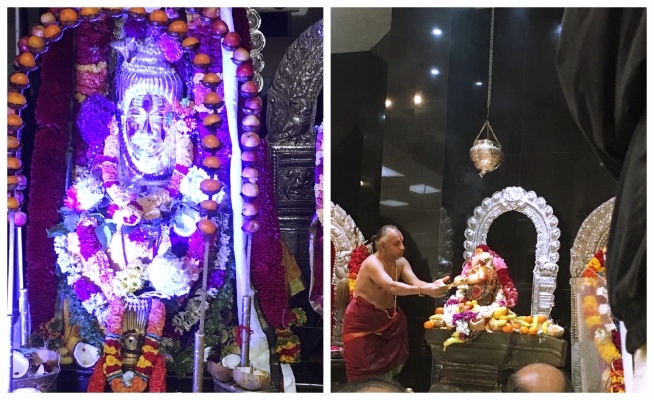 Under Shri.Subbiah Shastri Sri Rudram was chanted in chorus by lot of devotees and the abhishekams continued till mid night. Lot of Bhajans and Parayans continued side by side. Around 1:00 AM in the morning, Ashtotra Bilwarchana was done to lord Shiva. The Pooja concluded with Maha Mangala Aarti and theertha Prasadam. All the devotees were showered with the grace and blessings of Lord Shiva. We need to pass on special thanks on this occasion to the sincere and dedicated priests so also the temple authorities.